You, a Billy Graham Chaplain? When disaster strikes, the world responds to meet the physical needs of communities and people in crisis. That's important. But sometimes the greatest need is spiritual. 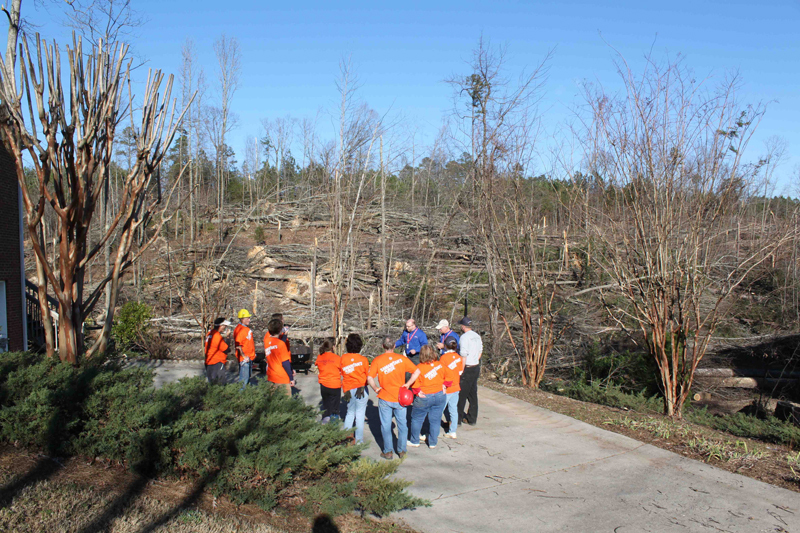 At the Billy Graham Evangelistic Association, we send teams of chaplains into areas ravaged by disaster to minister to the emotional and spiritual needs of hurting men, women and children. We recruit and train the chaplains and volunteers, and then call on them to deploy when the need arises, often at a moment's notice. We are looking for volunteers who want to be called when disaster strikes, to minister to people in crisis with the compassion and love of the Lord Jesus Christ. Will you join us in this ministry? Will you answer the call? From the ashes of 9/11, the Billy Graham Rapid Response Team ministry was developed to share Christ in the midst of crisis and disasters. Since then, the Rapid Response Team has grown into an international network of hundreds of trained volunteers, men and women who have deployed to the sites of major disasters. BGEA currently has chaplains in the United States, Australia, Canada and the United Kingdom. 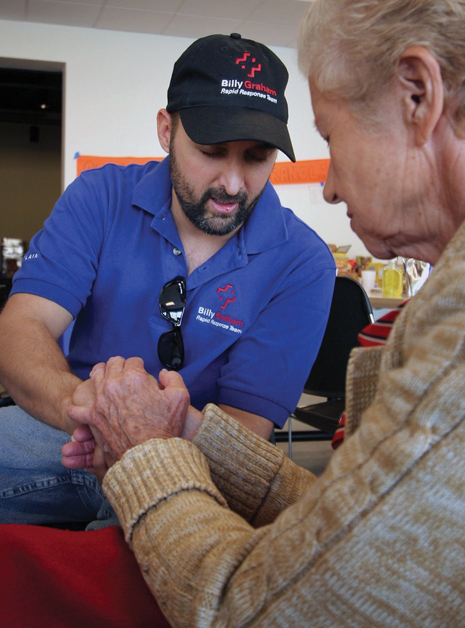 These volunteer chaplains are carefully selected and trained to demonstrate the compassion of Jesus Christ and appropriately share God's hope through the One who heals the brokenhearted and binds up their wounds (Psalm 147:3). Since 2002 Billy Graham Rapid Response Teams have deployed to major disasters in countries around the world including Hurrican Katrina, the Haiti earthquake and the Japan Tsunami. Over 4,700 individuals have deployed bringing emotional and spiritual support to more than 500,000 people and praying one-on-one with over 175,000 survivors of disaster. In 2009 a small team from the United States came to Australia during the Victoria bush fires and saw the need for pastoral care for victims of the disaster. Plans were implemented to expand the Rapid Response Team ministry and in July 2011, RRT was established in Australia and New Zealand. 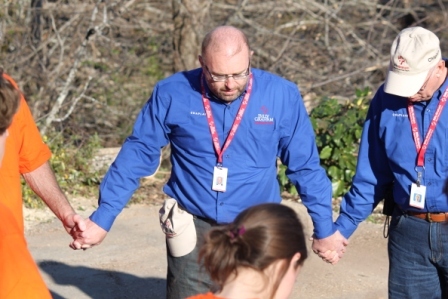 To recruit, train, deploy and manage teams of specially trained crisis response chaplains in response to man-made or natural disasters, to offer God's hope and comfort through Jesus Christ. To support the ministry of churches in equipping their members to appropriately share God's hope in times of personal tragedy. We work with the local church and existing State and Territory chaplaincy agencies, structures and guidelines in order to provide a Kingdom-focused approach. SHiC seminars are held in churches around Australia, training Christians to appropriately share the Gospel with those suffering through tragedy in life. This training is for anyone and everyone in church and is great for counselors, first responders, and church leaders who encounter suffering people on a daily basis. On completion of the SHiC seminar, those interested in becoming an accredited Rapid Response Team Chaplain also complete the Crisis Intervention and Stress Management (CISM) Training. This specialised additional training is required to comply with Rapid Response Team international standards. The CISM training is UN recognised and used by many federal emergency departments in the US. On completion of the CISM training, participants can apply to be an accredited Billy Graham Rapid Response Team Chaplain and deploy to disasters. In a State or Territory where an existing Chaplaincy agency is responsible for the coordination and deployment of Chaplains, additional training and accreditation may be required. The Rapid Response Team will either provide or coordinate any additional training required. For more information please contact the Rapid Response Team manager via email rrt@bgea.org.au or phone 1300 799 727.